Praying mantises are so cryptically colored and shaped that sometimes they get disappeared into their wild habitat. For those species that inhabit green vegetation they take the green shade while others including Carolina, they mimic orchid flowers and so on. However, do you really ever wonder if mantises are essentially camouflaged or they just change color to become one? Let’s see that! Do Praying Mantis Change Color? A dead leaf mantis, nearly indistinguishable from its habitat. While mantises aren’t generally known to take up their body color so they blend into the background like chameleons do, scientists claim that a few mantis species actually change color. 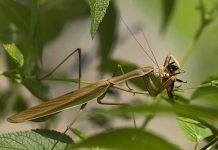 Lately, the amazing mimetic abilities of a praying mantis caught the attention of researchers. The European mantis (M. religiosa) is one such species that is thought to change color. It is predominantly occur in brown-grass habitats as well as green vegetation. Studies suggest that M. religiosa transforms into green-color body while it lives within the green grass. They do so right after they moult. 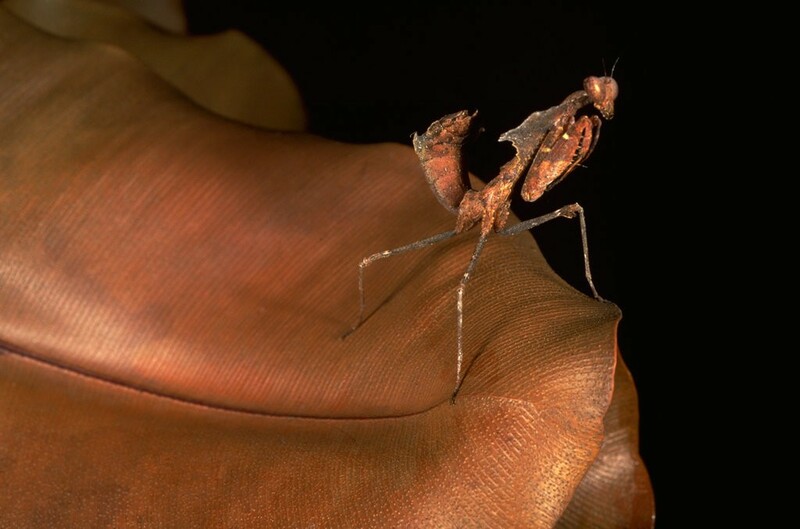 According to researchers, the overall temperature of a mantis’ habitat; the humidity, and the light intensity play key role in the regarding mantis’ adaptations. But scientists claim that only baby praying mantis is capable to change its color. Adult mantises are just too bright for this. HURD L. E., EISEMBERG R. M., 1984.- Experimental density manipulations of the predator Tenodera sinensis (Orthoptera: Mantidae) in an old-field community. 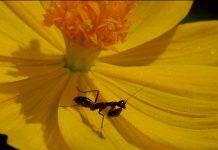 I. Mortality, development and dispersal of juvenile mantids.- Journal of Animal Ecology, 53: 269-281.